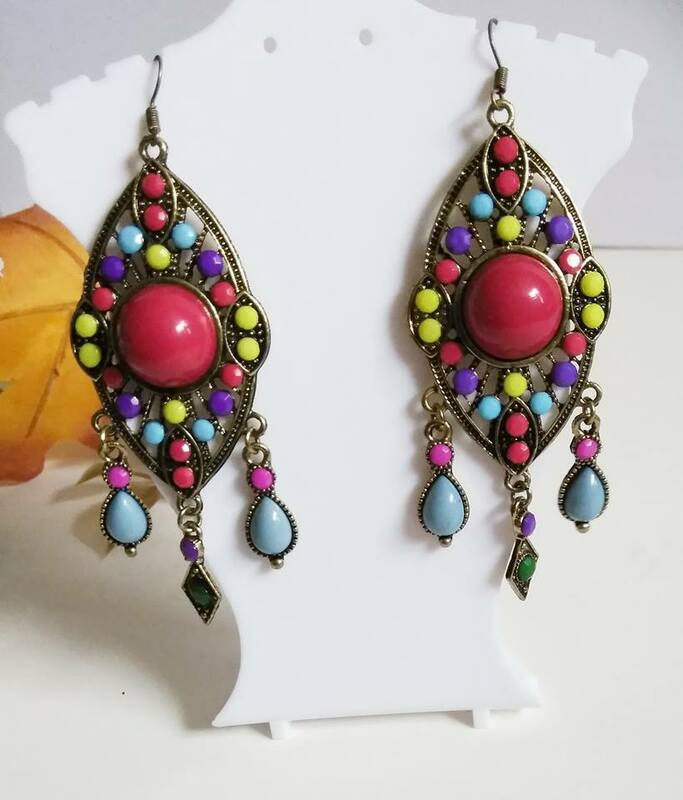 Add some vibrant colors to your wardrobe with our fiesta earrings! 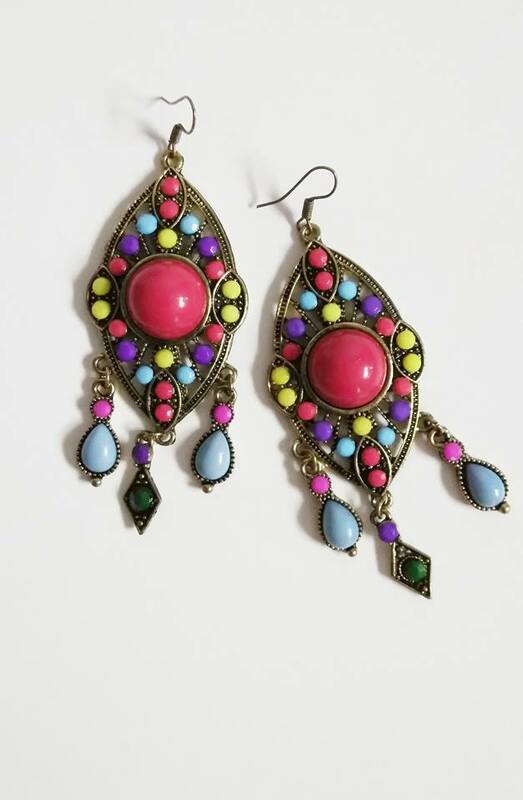 These earrings are approximately 3 inches in length, and we have only one pair. Pricing includes 3 to 5 day shipping.